We are fortunate to have him! Daniel “Doc” Jenifer genuinely cares about creating a positive work environment and helping people. He loves seeing a smile on employees’ and students’ faces. 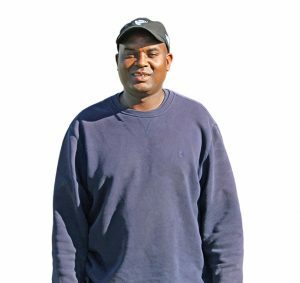 As Senior Facilities Worker at Spaulding Youth Center, Doc always embraces challenges and maintains a positive attitude as he works to solve problems on campus grounds. He has been a Spaulding employee for three years, but has been vested in the organization for far more. His wife, Monique, has been a Spaulding employee for ten years and the couple live close to campus with their five-year-old son, Noah. Originally from Maryland, Doc moved to New Hampshire after meeting his wife through mutual friends and loves the life they have built in the Granite State, which includes his small landscaping business, Doc’s Lawn Service. According to Doc, his favorite thing about working at Spaulding Youth Center is making people happy. Doc will often volunteer to stay late or come in early to accomplish tasks that can only be done during those times. Doc’s selflessness contributes to the positive work environment at Spaulding, and he truly is an asset to our organization. Click here to read more about our Spaulding Family.